Moleskine notebooks: Fashion trend or vital productivity? I am always seeking out new ways to increase my productivity. Recently, in fall 2012, I stumbled across Moleskine notebooks, and have begun to hold them in high regard, in terms of both style and quality. Although I have noticed very favourable reviews for Moleskine notebooks, I have also seen a fair amount of criticism, mostly in reference to their high price. So, are Moleksines worth their money, or are they simply a fashion fad? The first Moleskine I purchased was a black coloured lined hardback, measuring 13×21 cm (large). The signature of each Moleskine is the distinguishable elastic strap, which holds the notebook closed. I was impressed with the overall quality, and small finishing touches. Paper is thick and durable, there is sleeve at the back of the notebook (to hold loose bits of paper) and a bookmark tag. All-in-all, the quality of these notebooks is reflected in their simplicity. It wasn’t long after my first Moleskine, that I began to explore the many other variations and themed notebooks. First and foremost, I purchased the Moleskine notebook to enhance my productivity, as carrying a notebook is much more convenient that searching for scraps of paper (which may also be misplaced). So why not add some fun to your note-taking!? 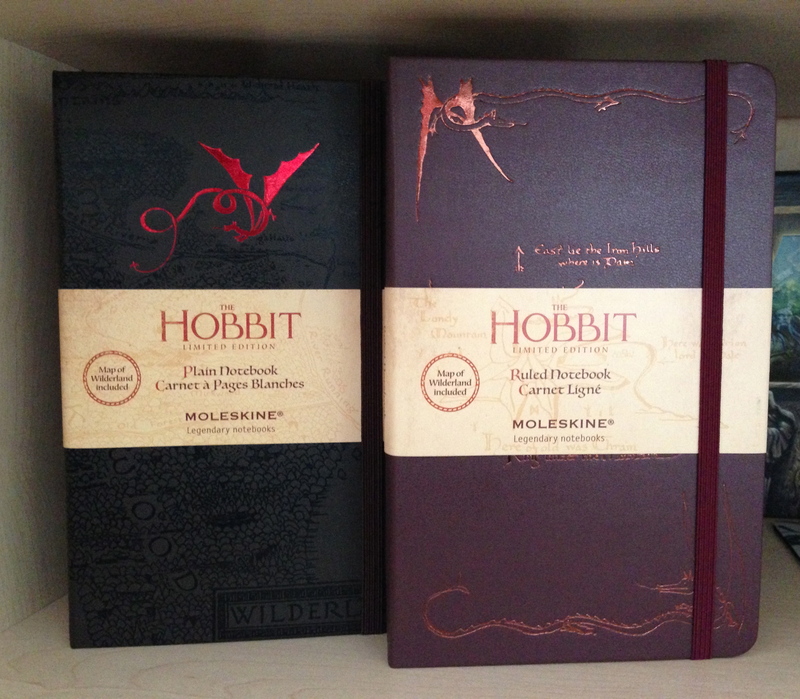 Themed notebooks include The Hobbit, Star Wars, Lego, Mickey Mouse and Evernote based Moleskines. As I regularly purchase Moleskine notebooks now for note-taking, I have also implemented a Moleskine pen with them, which clips onto the notebook. It is a huge convenience, and I no longer find myself searching for a pen when I need to jot down an important note or thought. The biggest criticism these notebooks attract, is their high price. Priced from £13.50 for the non-themed, and upwards of £15.00 for the themed, these notebooks are not cheap. Yes, the themed notebooks may be considered to be something of a fashion statement, but for me, they are a personal reflection of my interests. 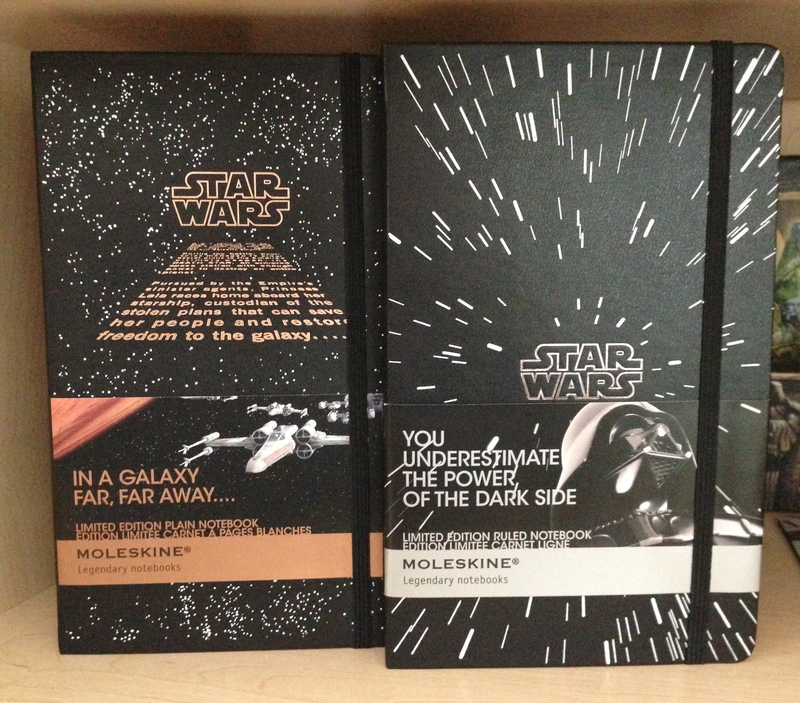 For example, I am a huge star Wars fan, so purchasing a notebook on the franchise seemed justifiable. There is nothing pretentious about them and in conclusion, if you are looking for a high-quality notebook, you can’t go much far with a great Moleskine. « Can the iPad replace your laptop?